If you're circling the blogosphere, you've probably heard about this thing called Leadpages. But…what is Leadpages…and why do you need it? 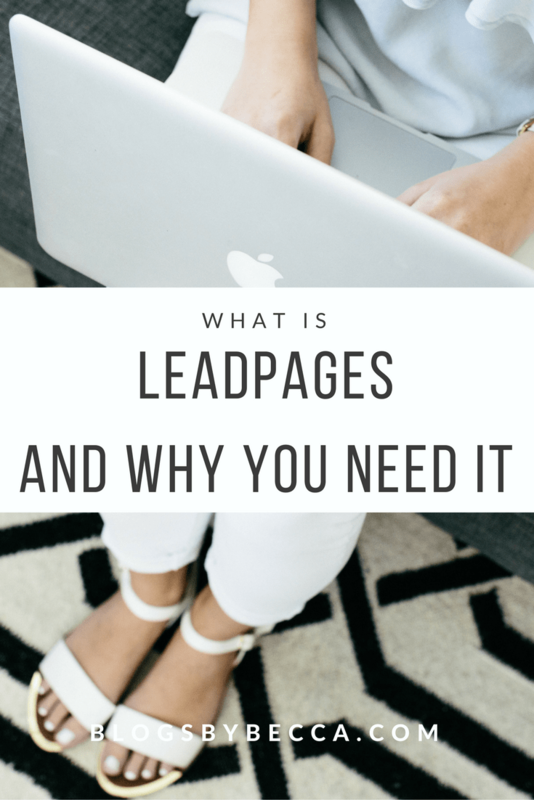 I'm a major Leadpages fan, but I know that a lot of people don't totally get what it's for (it definitely took me a little while to figure it out). So, let's chat. 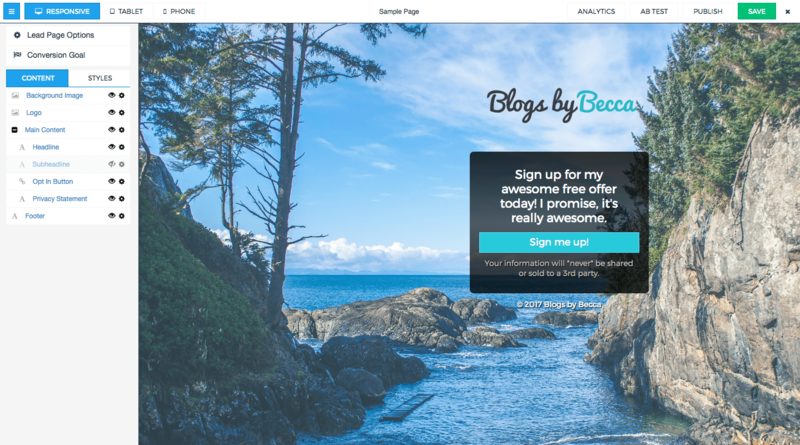 Long story short: Leadpages is your new blogging sidekick. *This post may contain affiliate links. You can read my affiliate disclosure policy right here. So first of all, what the heck is Leadpages? Leadpages is a service that does two main things: it creates landing pages and it creates pop-ups (“Leadboxes”) that come up when you click a button. Let's take each of these one at a time. First, landing pages. A landing page is basically a stand-alone page, separate from your regular blog, that generally asks someone to do something. Such as sign up for your free email course, register for your webinar, sign up to get information about your upcoming course, etc. They can also be used for other purposes like thank you pages or webinar pages (as we'll get to that below). A landing page is different than just a regular page on your blog. It doesn't have any headers or footers or social share buttons to distract people. It asks people to do one thing and one thing only–sign up for [whatever your thing is]. Leadpages makes it super easy to create these landing pages. It has dozens of pre-made templates, so all you have to do is insert your own images and text, and voila, you've got a landing page. The whole thing takes about five minutes. Leadpages landing pages work by using a button that people click. One they click the button on the landing page, a pop-up comes up and that's where they enter their email address to sign up for whatever it is you're asking them for. Rather than try to describe this, I've created a sample page to show you. Get it right here. So the second thing that you can create with Leadpages are “Leadboxes.” A Leadbox is a pop-up that comes up when you click a button (which is also created in Leadpages). You can also use them just as regular pop-ups, but that's less exciting since there are plenty of other services that can do that. These buttons/Leadboxes are really useful because you can use them to deliver content upgrades right in your blog post. I wrote a whole post about how to do it right here. You just insert the button into your post, and people can click it to get whatever your freebie is, after they enter their email. It's the perfect way to build your list while delivering top value to your readers. So, now that you know what Leadpages does in general, let's talk about how to actually use it. First and foremost, you can use Leadpages to create opt-in pages for basically anything. A free email course, your general email list, a content upgrade. The sky's the limit. Just create a landing page briefly explaining what you want them to sign up for, hook up the button, and voila, there you go. Now, couldn't you just ask people to sign for XYZ right on your blog? Yes, of course. But again, a landing page is a much better way to do it because there are no other distractions. You've got two choices: sign up for my thing, or click out of the page. When you create a landing page on Leadpages it creates its own link straight to the page, so you can link to it anywhere: your social media profiles, your blog, in Facebook groups. No need to have people wandering around your blog, they can go straight to your offer and sign up. Here's an opt-in page that I use for my most popular email course, Blog Boom Bootcamp. Another snazzy way to use Leadpages is to create thank you pages. A thank you page is a page that comes up after you sign up for something. This might not seem terribly important. And a lot of people will just have the default one that just says “Thanks for signing up, check your email.” Which is fine. But, if you do this, you're missing out on an opportunity. Creating a branded thank you page just adds to the whole experience of your blog and your brand. It's one more chance to cement your brand in your reader's mind. And, on certain Leadpages templates, you can include social share buttons. So you can ask people to click and share your offer with their friends on Facebook or Twitter. Not everyone will do it, but some will. And it's a good way to get your offer out there. 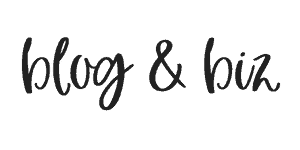 Here's an example of a thank you page that I use for Blog Boom Bootcamp. This one's a biggie. As I noted above, you can use Leadpages to deliver content upgrades right in your blog posts. I explained the process in this post, so I won't go through the entire thing again. But tldr: you can insert a button straight into your blog post, and when people click it, they'll get a pop-up asking for their email. They enter their email, and Leadpages or your email provider (like ConvertKit) will automatically send them whatever your freebie is. Here's an example. Click here and you'll get my free How to Get 1000 Followers on Instagram guide! Get your guide! If you do webinars, Leadpages are a fantastic (and cheap) way to set them up. Dedicated webinar services are generally pretty expensive (or, very expensive). But with Leadpages, you can do the entire thing with Google Hangouts/YouTube Live (which is free) and a couple Leadpages. You can use Leadpages to create your webinar registration page. And they actually have a lot of templates specifically for that purpose. Here's an example of one that I did a while back. Now that it's time for your webinar, you can do the actual webinar right on a Leadpage. Leadpages has templates specifically for this purpose. All you have to do is set up a live video in Google Hangouts/YouTube Live (which is free and easy) and embed it right into the Leadpage. You can also create a chatbox using a service like Chatango (also free) and embed that. Just direct people to the Leadpage on the day of the webinar, and there you go. You can run your entire webinar without using one of those expensive webinar services. Finally, if you've got a new site or a new offer (like a course) coming out, you can use Leadpages to create a landing page just for that. If you're using the free Leadpages plugin on a WordPress site, you can actually set a Leadpage as the homepage. So, create a “coming soon” page, announcing whatever it is, and maybe offering a freebie in exchange for signing up for more info. Set it as your homepage, and that way you can start promoting it and getting email signups before your actual site or course is ready. You can see how I do this here with my course Break Into Blogging. BIB is currently closed for enrollment, but you can sign up to get more info and get a freebie. I just bought the domain breakintoblogging.com, and set that Leadpage as the homepage. And voila. So, that, my friends, is why Leadpages is your new blogging sidekick. There are SO many ways to use it. I truly use it every day on my blogs. And I bet there are other uses that I didn't even mention. How are you using Leadpages? Tell me in the comments! P.S. 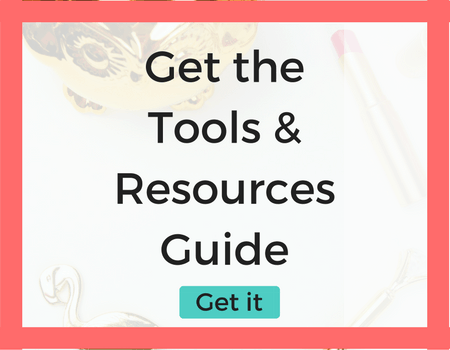 Don't forget to get your guide to the tools and resources I use every day in my blog biz!